You’ve heard this said a million times before, but have you felt it? Have you seen it unfold into an experience of reality around you? Can you feel the swirling delicacy of the universe that gives you form? Your blazing soul will never be extinguished, but it has so much to share here, now, with us. 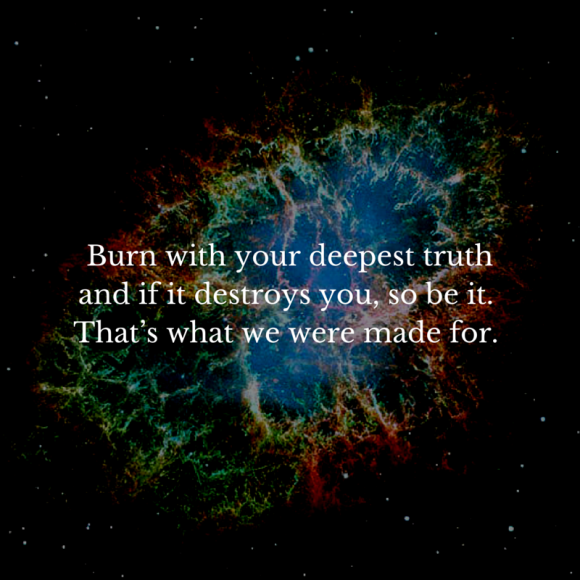 and if it destroys you, so be it. That’s what we were made for. I love the profound simplicity of truth. You Rock!